The area now occupied by Huludao city has been settled by mankind since ancient times. Archeological evidence indicates that during the Shang and Zhou dynasties, the region enjoyed advanced Bronze Age technology, while urban civilization first developed during the Warring States era. The Ming dynasty saw the construction of the Liaoning section of the Great Wall through Huludao, and it was during this time that the town of Xingcheng was fortified with its defensive wall which still stands today. In 1906, the county of Jinxi was established and later became an important center for resistance during the Japanese occupation. Over one million Japanese prisoners of war were repatriated from its port. Jinxi county was granted city status in 1982 under the jurisdiction of Jinzhou, before becoming a prefecture-level city in 1989. 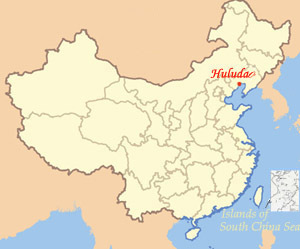 The city was renamed Huludao, originally the name of the peninsula and port inside the city area, in 1994.